Although I consider myself extremely feminine, I detest gender stereotypes and promote gender equality. That being said, it wasn’t until I observed the quads playing together that I put much thought into the gender bias of toys. Both of the boys spend the majority of their time playing with the kitchen set. I’ve mentioned before, they simply love mixing up concoctions in tea cups and feeding the baby dolls. Although these may be considered “feminine” toys, I love that my boys have opportunities for this kind of play. When they are someday grown and have children, I hope they are the kinds of fathers who help prepare dinner and care for the children. George does these things without hesitation and that makes him a strong father and husband. 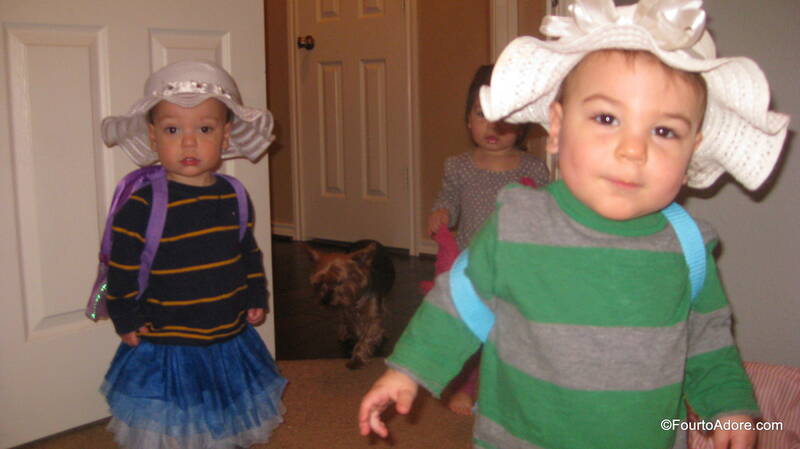 Shortly after Christmas, the quads became interested in pretend play, and dressing up. 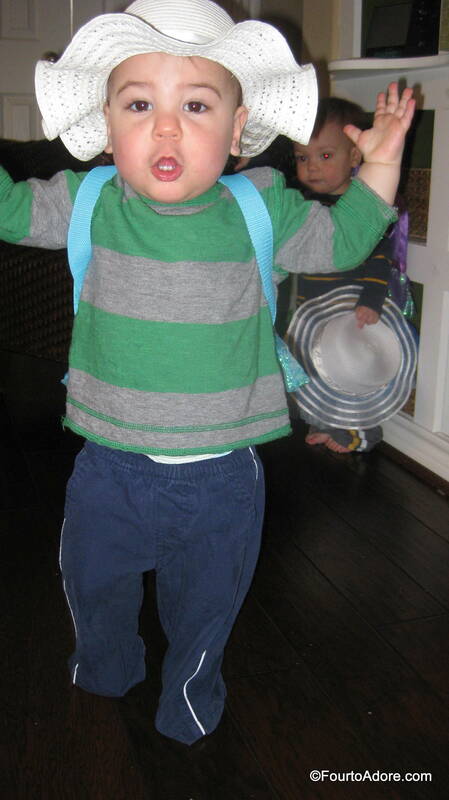 The boys gravitated to the white sun hats. To be fair, we don’t have any masculine dress up clothes (think fire and police hats) yet, but I plan to add a few in the near future. Our dress up trunk is sparse and the boys also made use of the fluffy blue tutu. On the flip side, the girls enjoy playing with race cars, trains, and tools. I hope they learn to value problem solving skills and never feel inferior to boys. The thing is, it’s easy at our house having an equal number of same age boys and girls. It’s totally coincidental that the boys have just as many “girl” toys available to them as “boy” toys, and vice versa for the girls. I would hope that if our children were all the same gender we would expose them to a variety of “boy” and “girl” toys, but it would be very easy to follow stereotypes when shopping for toys. It’s quite possible if we only had boys that our home would be void of dolls and dress up clothes, and if we only had girls there wouldn’t be a single car or building block. 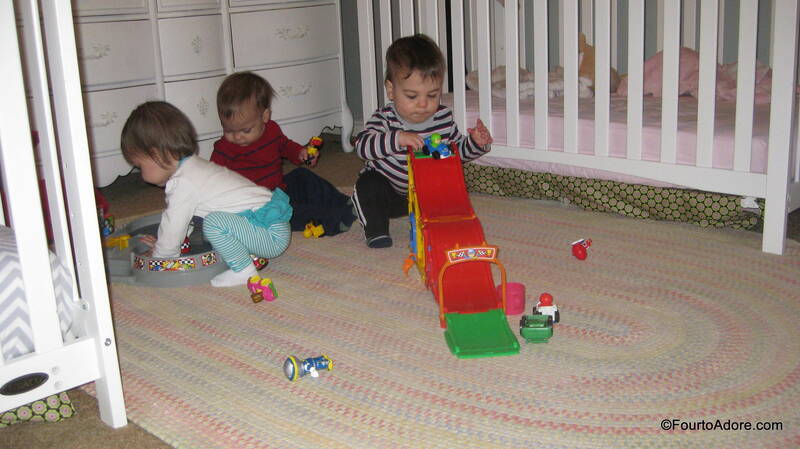 What I love most about all of our toys, is that the boys and girls play together. Several months ago, a viral video spread across YouTube. It depicted three girls constructing and setting a Rube Goldberg Machine. It was an advertisement from a new company, Goldie Blox, that seeks to encourage girls to pursue careers in science and engineering. Currently only 13% of engineers are female, and the creators of Goldie Blox feel it’s correlated to the toys girls are given. In January, Huffington Post published an article about how toy manufacturers are transforming once gender neutral toys such as Legos to feminine versions and made “girl” toys even more feminine than before (hard to believe that’s even possible). It sends an interesting message to children doesn’t it? The line is drawn in the sand: there are toys for boys and toys for girls. It saddens me to think toys could limit the aspirations and careers of my children. All that being said, I’m not in any way suggesting that we stifle what is innate in our children. As a child, I vehemently rejected cars, sports activities, and construction materials. Instead I gravitated to dolls and similarly feminine toys. It wasn’t for my parent’s lack of trying, they certainly provided a variety of play options. I believe that as parents, it’s prudent to provide equal opportunities for our children and not to chastise them if they choose to play with something that may be geared towards the opposite gender. Do you think toy manufacturers have drawn the gender lines too clearly? I agree! I thank you two for being strong gender neutral parents. @I children, the future leaders, need a well rounded life. We don’t need to repeat the negative events from the past – I feel starting young and as simple as play can help our young leaders get a great start. @Whoops! Guess that must be another soap box subject of mine. When writing this, I started thinking a lot about toy colors, and I had to ask myself why pink and purple are for girls and blue is for boys. My favorite toys are the ones with realistic colors. For instance, our kitchen set is silver. My real appliances aren’t pink like an easy bake oven, but they aren’t blue and red either. Maybe toy companies should start thinking more real world. I think exposing children to all kinds of toys is the best approach. It broadens their horizons and helps them (and us) discover how each of them is gifted differently. Like you, that’s been easy for us because we have a daughter and two sons, so there are plenty of toys representing each “gender stereotype” to go around. And our sons don’t discriminate against pink or tutus! Our youngest builds amazing towers and also rocks baby dolls to sleep. That said, I think sometimes our culture goes too far — we lose sight of the ways that boys and girls are inherently different. God made us that way, and those differences are intended to compliment one another. Thus, while we should never limit what our children can or should do based on their gender, I think we should also embrace the differences that make us unique as men and women. Great post! Got a Barbie house I need to unload on someone…interested? I totally agree, in an effort to expose our children to a variety of toys, ect I never want to stiffle what is inherently present. As a child, I never owned a race car or Legos, but it wasn’t because of my parents. I was naturally drawn to feminine toys. My dad was quite disappointed at my rejection of sports and fishing. Definitely interested in your Barbie house! Our boys and girls will love it soon. It’s yours! Along with three tabs of dolls clothes furniture and accessories! Fantastic! We love hand me down toys! Great post! I’ve been thinking about this with my eight-month-old girl twins. We haven’t actually bought any toys yet, because they have so many that they’ve been given as gifts or inherited. But the toys already do seem a bit gendered. Last week a visiting baby boy accidentally left a little toy car here. We didn’t have any cars, and it suddenly seemed to be both of their favorite toy. Makes me think we will need to start making an effort to expose them to different types of toys. Oh yes, they’d probably love cars, trains, and tool/ construction toys. Our kids certainly do, girls included. 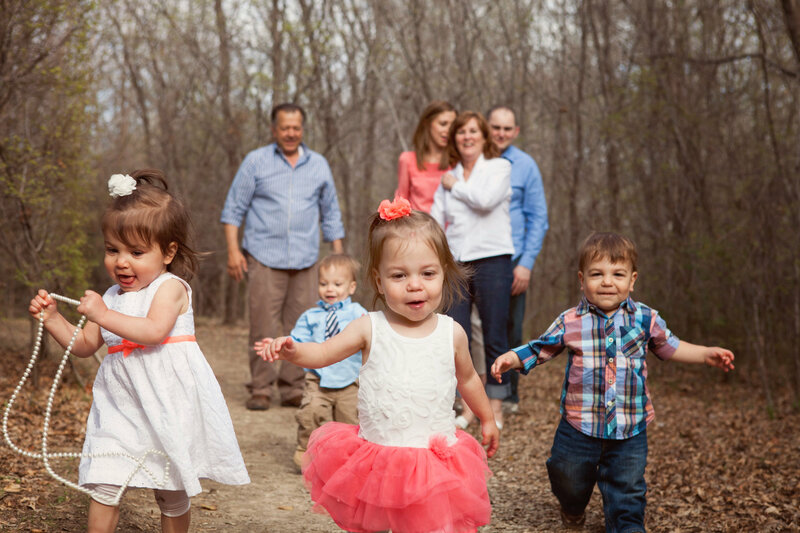 I agree completely–as parents we just need to provide opportunities for all kinds of play! I get upset when I hear girls are too focused on princess stuff and the like because I don’t necessarily think this is a bad thing if it’s what your little one likes. However, if you only give your daughter princess toys, you are limiting her interests and abilities. Our kids need exposure to all kinds of things! Great post! I think you may have missed the message here, but you are certainly entitled to your opinion. Thanks for taking the time to share. The point wasn’t to make our world “gender neutral”, but to allow equal opportunity to for children to explore toys and their environment. Both feminine and masculine toys, ect have a place in the world.